In the early 1990s, Doug Garnett and a small set of advertising pioneers recognized that DRTV could do much more than sell gimmicks on TV – that it could be powerful advertising for brands. Valuable lessons from nearly two decades creating successful brand DRTV campaigns have led to this unique book. Building Brand with DRTV examines the critical strategic and tactical issues for this underutilized advertising medium and delivers powerful information from cover to cover. What role should DRTV play in your business? Start by understanding how DRTV works, the difference between long and short-form, it’s role in branding, and, while we’re at it, the amazing transcendence of TV’s power (despite new media hype). 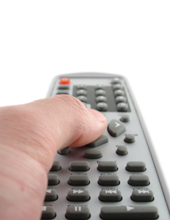 Is direct response television right for your brand? DRTV is powerful for far more products than you’d ever expect. Learn about the amazing range of products where DRTV can make the difference between success and failure. From Google to drill bit sharpeners, it’s time to move your vision for DRTV far beyond beauty and get rich schemes. 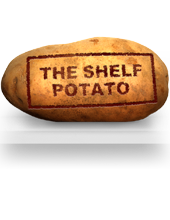 Those who work in the retail industry are all-too familiar with “The Shelf Potato”. You know these – the product everyone loves except it sits on the shelf far too long. These aren’t rare products – and every manufacturer and retailer has to deal with them. Building Brand with DRTV explores the Shelf Potato in-depth and teaches you how to keep your new product from becoming one and how DRTV can turn your Shelf Potato’s lackluster sales into a dramatic success! Far too many DRTV agencies live by formula – dooming their clients to failure. So learn Atomic’s Six Degress for delivering total impact from your advertising. Learn how dramatic successes (like the Foreman Grill) contributed to company failures. 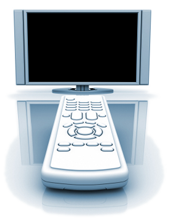 Best of all, learn tricks and tips that you can use to drive your own DRTV success. And then you’ll be able to create ads that success – without formula! Atomic Direct is a full service Direct Response TV agency. Thoughts on marketing, advertising, media, DRTV and technology. Gain valuable insights on building brand with direct response television. Order your copy today. 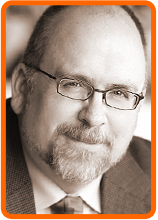 Doug Garnett serves as Chief Executive Officer of Atomic Direct, an industry-leading full-service direct response television agency involved in all areas of Creative, Production, Media, Research, Strategy and Campaign Management. A respected expert in advertising communication and television, Garnett is a sought-after spokesperson for industry trade and business media where he’s written for numerous publications and has spoken at trade panels and symposiums. Garnett brings a unique variety of experience to the challenges of DRTV. He started his career at General Dynamics where he worked on the Atlas and Atlas/Centaur rockets as well as the Space Shuttle. After leaving GD, Garnett shifted to marketing and sales where he sold Unix-based supercomputers, then typesetting software – a move that launched his career in marketing and advertising. Doug lives in Portland, Oregon with his family and is an adjunct professor of general advertising at Portland State University. He writes regularly on his blog and for Response Magazine to share his vision of how brand marketers can leverage the power of TV. Founded in 1998 by Doug Garnett, Atomic Direct is a boutique agency specializing in all forms of TV communication as well as strategic messaging. Atomic is also a pioneer in brand uses of direct response television (DRTV) and brings years of experience and hard-earned expertise to the table. Give us a call! 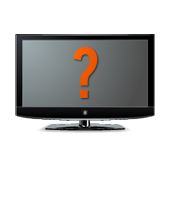 We’d love to open a dialog discussing how we can help you achieve the most with a DRTV campaign. To learn more about Building Brand with Direct Response Television or to book Doug for a speaking engagement, please contact Cydni Anderson at Atomic Direct.